Greendale Property Management are leading short term rentaI and property management specialists in Disney, Orlando, Florida. We want to invite you to spend your dream vacation in one of our exclusive 3, 4, 5 or even 6 bedroom luxury vacation homes with private pools and spa's as well as game rooms for the kids that have a selection of pool tables, air hockey and foosball tables, not only that but many of our homes have free Internet access and bbq's. Greendale are members of the www.bbb.org and www.britishamericanchamberorlando.com we joined this fantastic organizations to show that we work to extremely high standards and not become lazy in our customer service that so many of our competitors have become. All of our luxury pool homes are located just 4 miles from Disney, Animal Kingdom, Blizzard Beach, Hollywood Studios and Downtown Disney. Each vacation home is within minutes of supermarkets, golf courses, miniature golf courses and souvenir shops. Unlike many other websites, we actually manage and maintain each luxury vacation home on this Website, this means we are not just booking agents but actually the people who will make your dream vacation stress free, pleasurable and leaving you wanting to come back for more. The immaculate and spacious vacation pool homes on this Website are carefully selected so you don't have to worry about getting the best as we only offer the best and for the best possible price in the marketplace. All of our vacation homes are unique and offer many features such as game rooms, Jacuzzi's, hot tubs, free Internet access and more for less than the price of a hotel room. Greendale Property Management carefully considers the communities and properties that are accepted into the management program. Additionally, locations have been selected based on criteria that a destination has to offer, such as attractions, shopping, dining, activities and must be able to meet the needs of both leisure and business travelers. Imagine not having to share a community pool, imagine being able to swim all day and all night in your very own crystal clear private pool complete patio table, chairs and sun loungers. 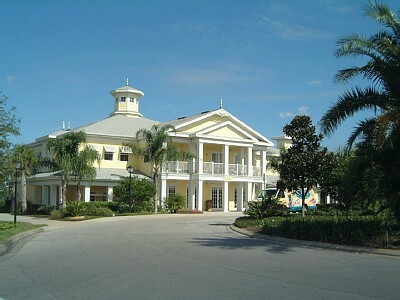 These luxury vacation homes are exclusive to Greendale Property Management, that means that we are able to cut out the middle man and offer you the very best rate, all of these homes come with fully equipped kitchens, cable TV, laundry facilities, full bed linens and towels so all you have to do is bring your clothes and a toothbrush ! There is no need to worry about having to come by our office either as we have installed electronic door locks so you can drive straight to the home and start enjoying your vacation. Our aim is to make your dream vacation as pleasurable and stress free as possible that is why we only offer homes 4 miles or less from Disney. We can provide you with any service you may need just ask us as we are here to help. Greendale Property Management provides the highest standard for quality accommodations in vacation homes. Our in-home amenities place Greendale Property Management among the most luxurious accommodations available. Our Guest Services team is available to our guests throughout their stay to assist with questions about the home, check-in/check-out procedures, local area attractions, directions and more.